Straight Vanilla - dabbed on the skin or clothing as needed. 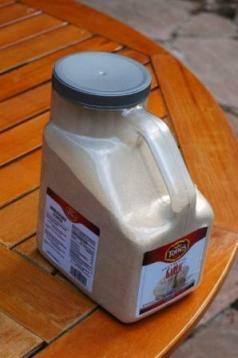 Vanilla Mix - 8 oz. water, 2 tsp. vanilla extract and 1 tsp. orange oil. Spray on skin and clothing liberally. Some gardeners have also recommended Watkins Vanilla hand/body lotion. The commercial product Cactus Juice is effective for many people, also the Cedar-Cide products. Oil of lemon eucalyptus - a natural repellent that works by dabbing full strength on exposed skin or clothing. To spray and attempt to control adult mosquitoes with pyrethroids, pyrethrum, pyrethrins or any other toxic chemical inorganic or organic products is not advised. We do recommend sprays of garlic, citronella and other non-toxic herbal products. 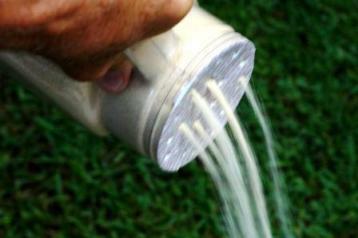 Homeowners can spray and kill adult mosquitoes with plant oil pesticides such as Bioganics and Eco-EXEMPT. Garlic sprays work well to repel the insects for up to 14 days. Dr. T’s Mosquito Repellent is a good dry product and dry granulated garlic from the grocery store is one of the most effective choices to use at 1 to 2 lbs. per 1000 square feet in beds, turf, pots, plants and other areas. 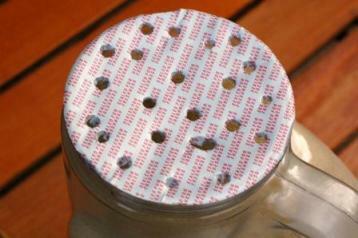 It can repel mosquitoes for up to four weeks. The best combination is to spray liquid garlic and broadcast dry garlic. To treat mosquito larvae in water, we do not recommend oils or toxic pesticides. What we do recommend is Bti (Bacillus thuringiensis) and other botanical products. 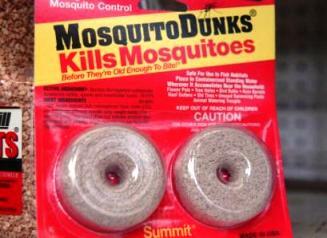 They don’t hurt animals or even the other insects like dragonflies that help with the mosquito control. Empty standing water where possible. Even small containers such as pot saucers, old tires, soda bottles and cans which can hold enough water for mosquito breeding. 1. Non-toxic herbal treatments for skin and clothes. 2. Bti products for standing water. 3. Dry granulated garlic and liquid sprays for site treatment. Asian markets and other food suppliers.